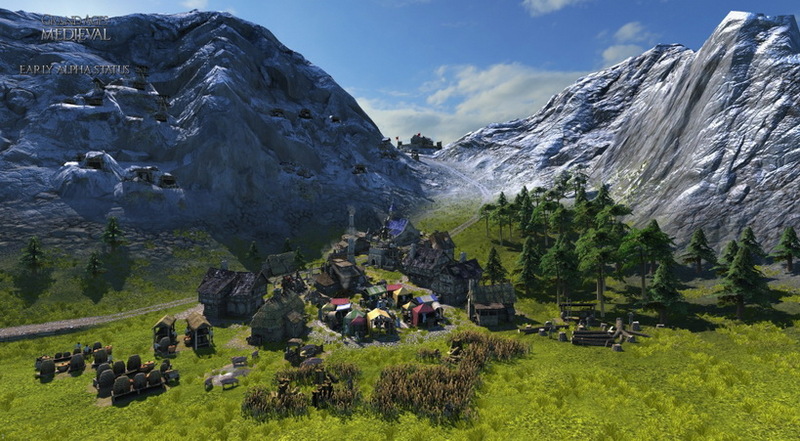 We got a sneak peek at Kalypso’s upcoming Grand Ages: Medieval a while ago and it’s shaping up to be one of the top strategy titles to look out for this year. We’re keen on getting some hands-on time with it soon – here’s why. When we met with Daniel Dumont and Guido Neumann from Gaming Minds, the studio developing Grand Ages: Medieval for Kalypso, their enthusiasm for the project was immediately apparent. It was the week they were first unveiling the new addition to the Grand Ages series, which started almost six years ago with the Rome edition. “Medieval” promises to be a grander and more beautiful experience in almost every way. 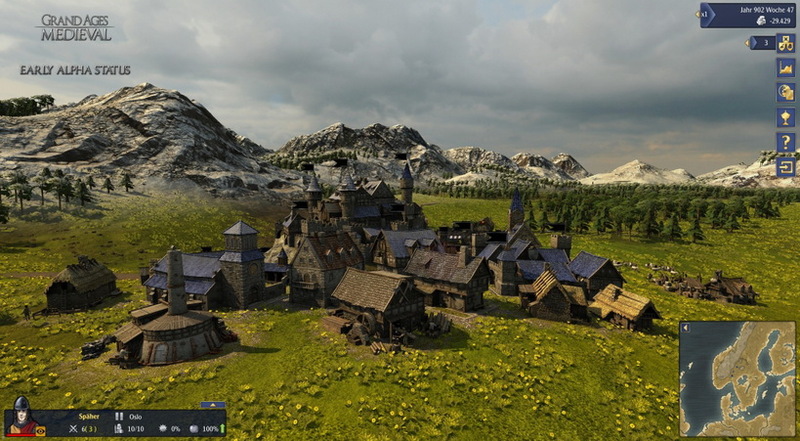 The game spans a period ranging from 1050 AD all throughout the Middle Ages, during which your settlement can grow to a vast network of cities and eventually an empire which spans much of the known world. At the time, this meant an area that stretched from Scandinavia to Northern Africa and all the way towards the Middle East – and Gaming Minds is reproducing all of that on a 3D map that covers millions of square miles/kilometers. What’s perhaps most impressive about that is the amount of detail that seems to be going into the creation of the game world. The screenshots are beautiful but don’t even do the game justice, with subtle effects (water and weather come to mind) and levels of detail that can be appreciated even when fully zoomed in. Channeling an old favorite of ours, Populous, we also witnessed things like fires, earthquakes and volcanoes. As you progress through the ages, you develop your technology as well as the size of your kingdom. This brings new opportunities for exploration, building, trading and, of course, conquest. The build we saw still had some placeholder animations and we didn’t see any combat, but the sheer scale of the game promises to keep us busy for weeks when the game is finally here. It’s expected sometime in 2015 and we’re hoping to hear more soon!